The refined gloss-black finishes, modern edge and reinvigorated ride of the Heritage model take nostalgia ripping into a new place. 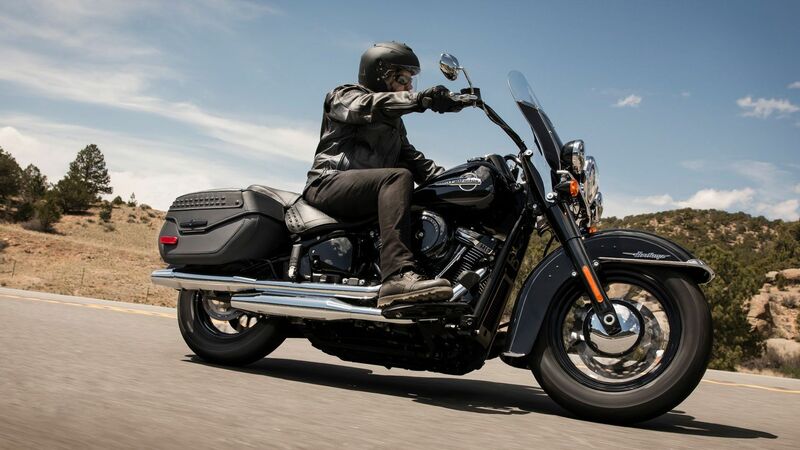 It starts with the performance of the Milwaukee-Eight® 114 engine and the re-invented Softail® frame and suspension. The ride will put a big smile on your face. On top of that, you get a look that drips with gangster-era style. And practical features like a windshield and hard saddlebags for light touring. Tradition is good, but it doesn’t mean sitting still. Available in 107 (1745cc) and 114 (1868cc) engine displacements.